Peter Cetera (bass, vocals), Terry Kath (guitar, vocals), Robert Lamm (keyboards, vocals), Laudir de Oliveira (percussion), James Pankow (trombone, lead vocals), Lee Loughnane (trumpet, backing vocals), Walter Parazaider (saxophone, flute, clarinet), Danny Seraphine (drums). 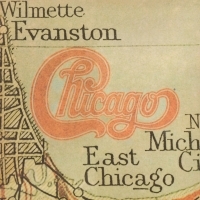 Chicago XI was one of Chicago’s biggest selling recordings in a long line of multi-platinum smashes which began with Chicago Transit Authority. Featuring the original award winning line-up of Robert Lamm, Peter Cetera, Terry Kath, the legendary horns of James Pankow, Lee Loughnane, Walter Parazaider, plus Danny Seraphine, Chicago XI is undoubtedly one of the biggest selling albums of 1978 and also one of the most revered offerings in their huge catalog, as it features the final guitar and vocal work of the late great Terry Kath. It’s been several decades since the original vinyl version of Chicago XI has been available… that is until now! Friday Music is very honored to continue the CHICAGO 180 GRAM AUDIOPHILE VINYL SERIES with their masterpiece Chicago XI. Mastered impeccably from the original Chicago Records master tapes by Joe Reagoso at Friday Music Studios and Capitol Records in Hollywood, CA, along with Chicago’s Lee Loughnane, this album is truly a thrilling first time audiophile vinyl release.